TravStar1 Point Of Sale SystemRegister Manual Gas TransactionsHow Do I Change Fuel Prices From the Register? How Do I Change Fuel Prices From the Register? 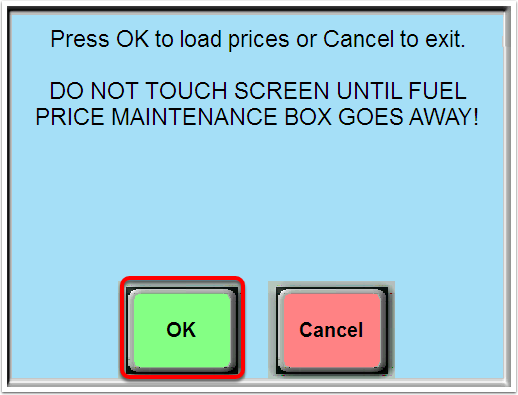 From the Manager Menu - Select "Manager Keys"
Step 1 - Select the Product Type in the Fuel Price Maintenance Box, for this example we have selected Diesel Regular. 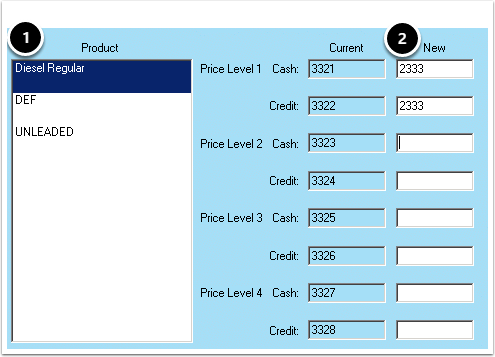 Step 2 - Enter you New Fuel Amount, "You will need to account for 3 decimal places in your new Fuel Price number". 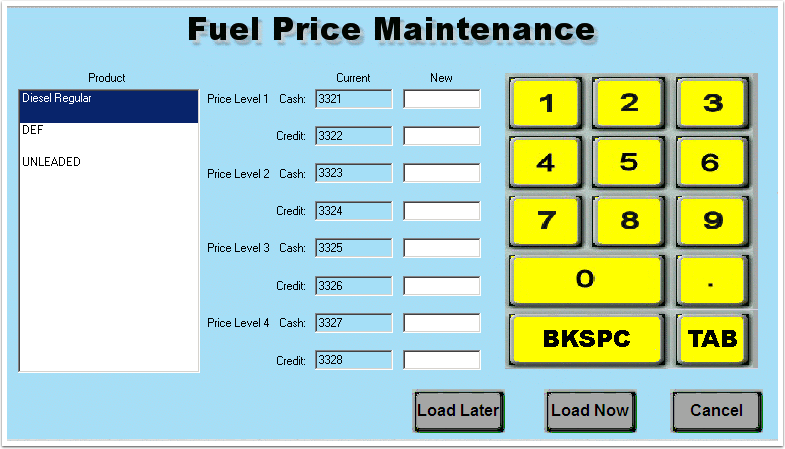 Once you have entered your New Fuel Amount touch the Load Now Button as displayed in Step 3. A Notification Box will pop up after you touch the Load Now button. Press OK to Continue. 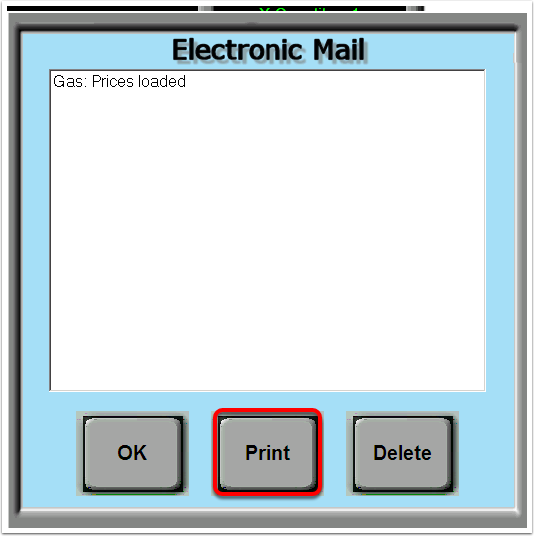 Once the New Fuel Prices are loaded, an Electronic Mail Box will open up on your Register. Select Print to print out a receipt with the Updated Fuel Price Information. Prev: How Do I De-Authorize a Dispenser? Next: How Do I Cancel a Prepay from a Dispenser?